Having multiple eCommerce stores can work for you in certain scenarios. When you sell internationally, you can have different sites catering to different languages. Also, when your product range is drastically different, you can think of selling them in different stores. For example, if you are already selling electronic products in a store, it doesn’t make sense to sell fashion clothing there. And, if you get a good dealership on fashion clothing, you can start a separate store and manage both from the same place. These kinds of scenarios demand a totally different store strategy. That is where some awesome solutions from the WooCommerce community can help you. This article looks into some of the aspects of managing a WooCommerce multistore. When you talk about the multi-store scenario, there are various concepts being discussed. Online marketplaces with multiple vendors are often talked about in similar lines. However, you may need another set of solutions for that. You can find more information on WooCommerce multi-vendor marketplaces here. Additionally, you will find a few more multi-vendor solutions here as well. 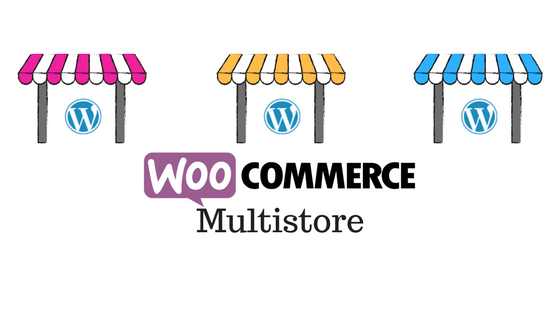 Now, we will discuss some of the plugins that will help you set up a WooCommerce multi-store. The concept is based on WordPress multisite, which enables managing multiple websites from one location. Naturally, all the solutions that you use here should be compatible with WordPress multisite. This is a great tool to support you in the multi-scene strategy that you are envisioning. With the help of WooCommerce multistore plugin, you can use the same inventory to sell in multiple places. Which means, the same product will be featured in multiple stores, if your strategy demands that. The plugin allows you to manage an unlimited number of sites from a single admin page. It enables you to manage multiple stores through multiple domains, subdomains or subdirectories. Moreover, you can access all the products from all the stores from a single location. Stock management is automatic with this plugin. You can use the same stock to sell in multiple stores, or keep separate stock quantity for each store. Similarly, you can view and manage orders from one place as well. In addition, you can export orders from all stores or specific ones via CSV or XML. And the plugin makes sure that layout and design stay very close to the original WooCommerce pages. The plugin supports all WooCommerce product types and helps to keep different description in different stores. Moreover, you can set up different languages, currency and payment options for each store. The license for a single network would cost you $199. And if you want a developer license that can be used in five different networks, you have to pay $299. This plugin helps you manage and maintain multiple stores from a single WooCommerce admin page. It offers domain based price management, where you can add a different price for the same product in different domains. An important point to note that is this plugin, by default, offers independent Cart and Checkout, which is probably a good option in the customer’s perspective. However, if you are interested in a single checkout flow for all stores, you can contact the developers to get it customized. This plugin helps you manage and maintain multiple WooCommerce stores from one place without hassles. This plugin helps you bring together all your stores together to form a marketplace with single cart and checkout. So your customers can add any product from any store to the cart. The plugin integrates flawlessly to all the shops running in the multisite environment. And it works with all domain types including custom domains, subdomains, and subfolders. Overall, the single cart set up is simpler for customers, and they can access all the stores with the same user account. WooCommerce multi-site global cart plugin helps you bring together all your stores under a single cart and checkout flow. You can easily get this plugin up and be running, and the simple interface makes sure you don’t face difficulties while configuring it. Moreover, there is detailed documentation to help you out with any troubles. You can purchase the single network license for $120, and developer license for $230 for unlimited usage. This plugin helps you address one of the common issues that you may face while creating multiple sites in the same environment. Basically, when you set up multiple stores, you may need to copy products from one site to another. WooCommerce multisite duplicator plugin helps you manage this pretty easily. It helps you duplicate your set of products from one site to another site, or to all other sites in the network. In fact, you can copy everything related to a product including images, taxonomies, attributes, variations, and metadata. You can set custom post statuses and suffixes for copied products. In addition, you can limit access to specific user roles as well. The regular license of the plugin would cost you $19. There are certain WordPress themes that would help you handle a multistore environment better. Let’s take a look at some of the best options. This theme offers six different layouts for each of the store part of your multistore network. You can strategically use these layouts to give a dynamic look and feel for the multiple stores that you manage. Some of the features of the plugin include quick view, zoom, carousel and sales countdown. It uses Ajax feature, to make the experience simple and convenient for customers. Wendy supports Contact form 7 and Google Maps. In addition, it offers the MailPoet plugin, which brings in newsletter capability to your site. You can easily customize the theme to your liking with several design options to choose from. The cost of the regular license of this plugin is $55. This is a good theme that is suitable for multiple categories of products. When you are selling a seemingly different range of products through your WordPress multisite, you will find this one to be a good option. With simple theme options, it enables store owners to customize the store the way they want it. And more importantly, the theme adapts very well to the product you are selling. Furthermore, you get round the clock support and detailed documentation. The regular license of the plugin on themeforest would cost you $49. Wanium is a visually spectacular WordPress theme with multiple header and footer layouts, and a perfect integration to WooCommerce. The theme has live preview for customizaton, so that you can experiment design and layouts more readily. It is suitable for multiple languages and even support languages that write from right to left. In addition, it allows easy options to set up modal popups to inspire your customers and users to signup with you. Multiple options for home page and image gallery makes it very easy to adapt to a diverse range of products. The theme is translation ready and SEO friendly. A regular license is available for $18. Sober comes with a perfect integration with WooCommerce and is compatible to multiple categories of products. With over 12 homepage designs, it gives you ample options to adjust to your product range. It is fully responsive with a mobile friendly design and beautiful product pages. Moreover, the theme is SEO and translation ready, and comes with dedicated support. You can purchase the theme from themeforest at $59. Why multiple stores is a good idea? Sometimes spreading your product range between stores is a better idea than selling it all from one site. Here is a look at some of the obvious advantages of a multistore model. With multiple online stores using the same inventory, you might be able to target a larger customer base. Moreover, the same strategy can help you when you are selling to different international markets, a diverse category of products, or different brands under one umbrella. In many international markets, you will get better acceptance if your site speaks the local language. Similarly, if you sell products directly to consumers and to other businesses, you can keep different sites. If any of these scenarios apply to you, having multiple stores might be a good idea to increase your reach to more customers. Having multiple stores with a separate design language may help you gain access to diverse sensibilities. For example, you can create multiple sites using the same inventory with site layout and design suitable for different demographics that you are targeting. This will be a simple way to not limit your customer base. Spreading your inventory across stores gives you an advantage in your search engine optimization strategy as well. You can actually target multiple keywords that might apply to your product range. And this would help you appear an expert in specific categories rather than having a jumble of keywords to rank your site. Managing a single eCommerce store itself is challenging. On top of that, if you have multiple stores, with inventory, orders, fulfillment request, refunds, returns, etc., you might really lose the plot. That is where WordPress multisite and several associated plugins help you manage all store from a single place. This can reduce the complexity to a great extent. In fact, with the help of some of the plugins discussed above, you can actually manage multiple stores, similar to how you manage a single site from WooCommerce admin. Though there are some obvious complexities around the multistore model, you can work your way around it, if it works for you. Here are a few tips to help you manage a multistore model. 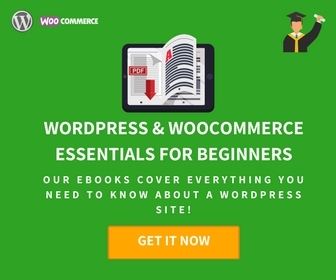 With so many dedicated tools available for various functionalities, WooCommerce and WordPress community offers great solutions. When you are starting out with a multistore idea, getting all the right tools is quite important. WordPress multisite is a great solution to handle the complexities to a great extent. 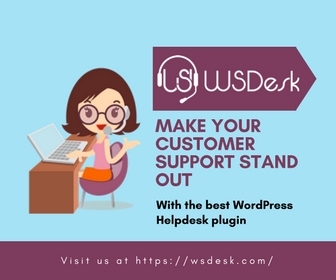 All you have to do is find the supporting tools that is compatible to WordPress multisite. Getting a dedicated product information management solution might also be a good idea. You need to be smart about your search engine strategy when you are selling same products through multiple stores. It actually gives you a great opportunity to rank high in specific keywords. If you do an intense keyword research on what potential customers are searching for, you can try and get ranked for the top ones separately. However, you need to make sure your sites are not competing with each other for same keywords. You get a lot of flexibility to try different conversion strategies, when you have multiple sites. For example, you can experiment with a different checkout pattern in different sites. And, if you observe one performing better than the other, then you probably can try that out in other sites too. However, if different sites are targeting different customer demographics, you might need to do more research on what appeals to the specific demographic. Experts advise to keep a centralized management process for your inventory and fulfillment. That way, you are not struggling to keep everything separate. On the back end, it should look like the same store, even if it appears different on the front end. Keeping a consistent flavor on shipping, payment options, customer care, etc. will help you manage multiple stores better. There are several reasons for choosing a multistore model in eCommerce. Some of the relevant scenarios would be targeting international markets, selling multiple brands or diverse products. 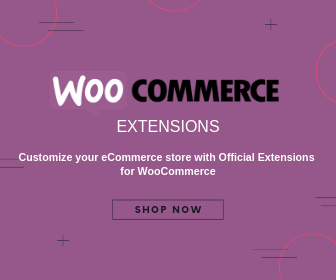 When you are really convinced about the relevance of a multistore model, you can check out the solutions of WordPress WooCommerce. This article has introduced you to some of the best plugins and themes you can try for a WooCommerce multistore. 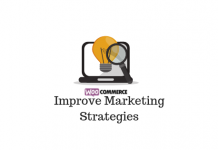 Moreover, you probably got a better understanding of the applicable scenarios and tips for a successful WooCommerce multistore approach.